Hi there, we made it to the third episode (a bit late though, Moritz was travelling to SXSW). In this episode we first answer to some of the questions we received and then we move on to the main topic: how do you evaluate visualization? We have been discussing some contests in episode #2 and thought evaluation is really a key issue there. [07:43] Listener question: How to stay objective about your own work? [10:23] Listener question: Do we criticize each other? [11:15] Listener question: How to introduce business people to benefits of visualization beyond Excel? On the role of design in information visualization. Andrew Vande Moere and Helen Purchase. 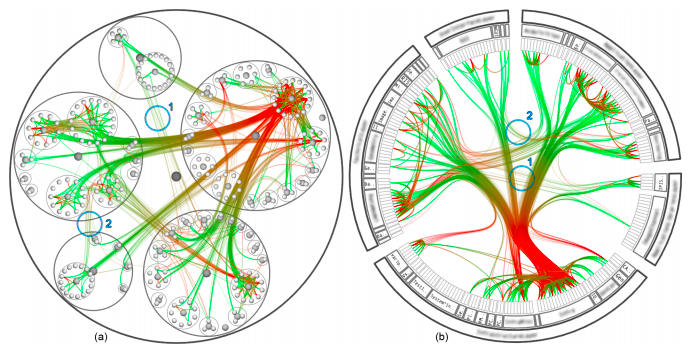 An Insight-Based Methodology for Evaluating Bioinformatics Visualizations. Purvi Saraiya, Chris North, and Karen Duca. A nested process model for visualization design and validation. Tamara Munzner. Have fun and, as usual, let us know what you think! Dear Enrico and Moritz, I’m a student at UVA (Amesterdam University) I’m finishing – hopefully – my thesis on the topic of “visualizing data city”. Have just started listening to the podcast and am really really enjoying it. I get a lot out of each episode and I can use quite a bit of that directly in my job. Especially I find the links/notes of what was discussed in the show very useful.